A 51-year-old man who assaulted his 32-year-old wife to the extent that she lost her consciousness earlier this year will serve the next 18 months behind bars. The court heard that the incident happened on 21st July in a village in Lau following an argument between the couple. 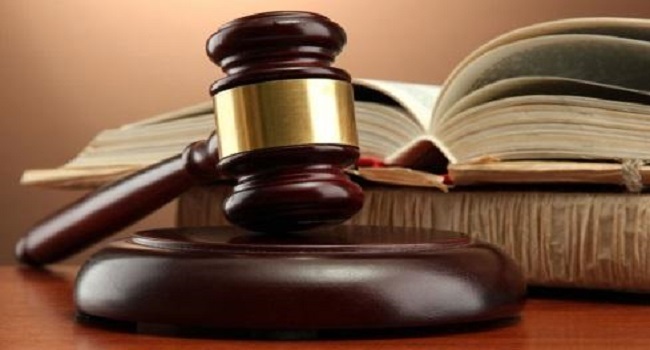 The man who was charged with act with intent to cause grievous bodily harm pleaded guilty to his charges in the Suva High court. The court heard that the argument started after the man had asked his wife on her whereabouts the night earlier. The man hit the complainant several times with a stick, threw punches at her and tried to strangle her. High court Judge Justice Daniel Goundar said when the complainant gained consciousness, her daughter was crying beside her. Justice Goundar said the complainant had sustained multiple injuries and is traumatized after the incident. Justice Goundar said the man breached his wife’s trust and a child was exposed to the violence. The man who has already spent 4 months in remand will have to serve another 14 months. A domestic violence restraining order has been issued against the man.